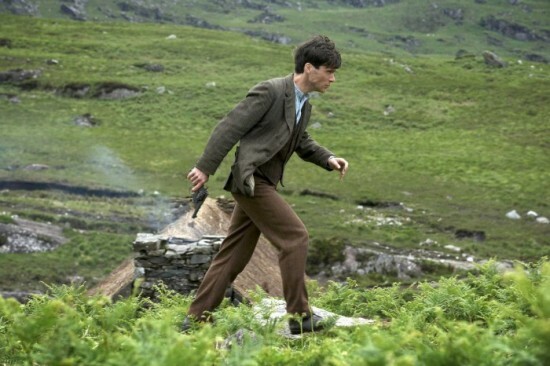 The Wind That Shakes the Barley tells the story of two brothers who fight the Anglo-Irish War together, and then find themselves fighting each other in the Irish Civil War that followed. I hate that description. It makes the movie sound cliched and sentimental. It isn’t. It is one of the most searing and beautiful movies I’ve seen lately. It is comprised of a series of unforgettable moments, and when the credits rolled, neither MK nor I could really say anything for a few minutes. 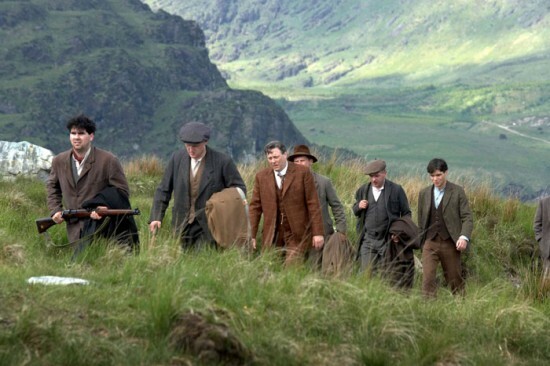 Director Ken Loach and his crew produced a powerful piece of filmmaking, and you should make an effort to see it. Perhaps most admirably, it does not stoop to using the warring brothers and comrades as simple metaphors for the broader struggle for Ireland’s soul. The men and women of this film retain their individuality, and never for a moment do you doubt that they are reaching private decisions for their own reasons. They might be caught in the tide of history, but they are also its agents. Like its spiritual and stylistic parent, The Battle of Algiers, The Wind That Shakes the Barley is shot in an intimate, semi-documentary style. The camera is your proxy in the film, a silent and trusted fellow dissident and confidante among rebels. Later, as the band of fighters splinters in the final third of the film, the camera finds itself adrift between the players, cutting back and forth like a child watching his parents fire volleys across the dinner table. This is a period of history I know well, but always from the point of view of the elites. That’s a distorted view of the action, however. It’s easy to see why Collins and the Army crushed the partisans so brutally: their refusal to compromise with the British would have cost Ireland its last best chance for independence. Their leaders had recused themselves from the actual negotiations with Lloyd-George and Churchill so that they they could maintain the fiction of their revolutionary purity. They seem like violent, self-serving idealists. It’s easy to forget that many of them had their own reasons, and real principles. The Wind That Shakes the Barley is not a history of winners and losers. It is a series of tragedies nestled within one another. British soldiers make martyrs of their victims and mortal enemies of those who witness their excesses, and the men who volunteer to murder British Tommies and Irish traitors spin dreams for themselves that can somehow redeem the bloodshed. But there must come a moment in a revolution when dreams give way to the possible. Damien (Cillian Murphy) is a reluctant killer who takes on more than his share of responsibility, because his conscience won’t let him delegate a necessary evil. He would never have taken up arms unless he could believe with all his heart that the future would be worth it. When he discovers that it won’t be, he has a legion of ghosts at his back, urging him to keep fighting until he pays his debts to them. There is also a degree of narcissism in this decision. Damien and his friend, Dan (Liam Cunningham), are breaking a hard-won peace because it is not their peace. They are deaf to the argument that most of Ireland voted for the Treaty, coming up with flimsy explanations of how the people were duped by the sell-outs. They begin terrorizing and killing their fellow Irishmen in the newborn army, because they have chosen to serve Ireland and not Damien’s and Dan’s vision for it. In a war of national liberation, Damien and his fellow hard-liners have fallen into the revolutionary trap of identifying themselves with the nation. In the last shot of the scene we see that all the other cell members, including those that urged the execution, have turned their faces away from it. We see them all outlined against the hills, their heads bowed and looking to the right of the frame. Chris Riley’s body lies lost in the tall grass behind them. Damien throws the pistol down and exits to the left, walking alone down the hill, a man already isolated by the choices being forced on him and the promises he’s made to himself.